Here are some pics of the rest of the new fabric that came in the mail. These are from Sew, Mama, Sew and I just love them! 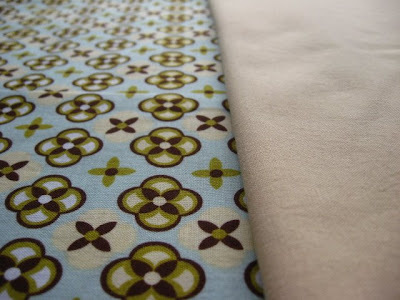 I already got to playing and picked out the coordinating fabrics so all that is left to do is pull out the rotary cutter and start slicing it up. Oh, that sounds so cruel. That might be what my problem is - I anthropomorphize everything. Yes, I make the animals talk but everybody does that, right? The problem goes much deeper than that though (like here for instance). People who know me get used to it, or ignore it, or think it's quirky that I'm having an ongoing conversation with the soup. 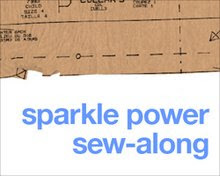 So, it makes sense that I sometimes get the jitters when it comes to cutting up fabric. It's been welcomed into my home, washed, dried, ironed and folded. But it has also been petted, adored and a little life has been created for it. Then there is the future and aspirations of what it wants to become. It is just a matter of me making it so. That's a lot of pressure, but I have to believe that the skills are in me to pull it off so the transformed fabric can be sent of into the world in his new incarnation. 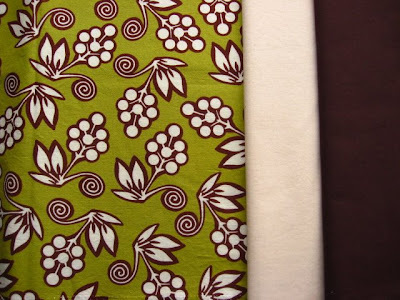 Oh yeah, I was going to show you fabric pics instead of rambling on! I just love the spirals in that one, and the colours. He wants to be a skirt of some kind. Frogs? What can be better than frogs? 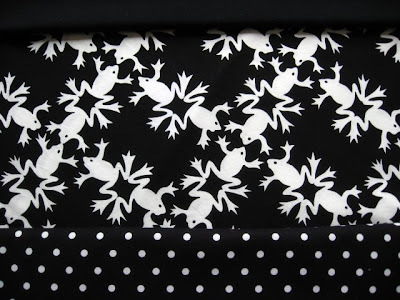 I'm going to cut the fabric on the bias like its shown here because the frogs seem to have more movement this way. They were going to become a bag for the tutorial I'm working on but the progress shots would have been too dark. So it's becoming a skirt too. I just love this little pattern, it reminds me of something from when I was small, but I can't quite remember what. I think it might be similar to something on my grandmothers everyday dishes. Alright, now I'm going to go work on that bag tutorial. I can't wait for the bag tutorial. I've looked that frog print over and over in the green. You are really tempting me.